The Cohiba Siglo II is an all-star cigar, a medium bodied Mareva, with 42 ring gauge, 5” (129mm) long and comes in a 5 packs of 5 cigars. 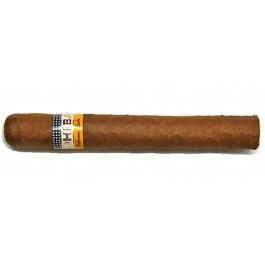 Very well constructed cigar, it reflects Cohiba’s attention to detail and strive for perfection. The cigar smokes slowly and packs the typical Cohiba flavors in a shorter vitola. Lots of honey, leather and delicious cocoa and vanilla flavors. An amazing short Cohiba. The flavor profile so early on is more medium to full then light to medium. If you're someone who enjoys the old school flavors of the Bolivar's and the Partagas's, then you will enjoy the fuller than usual flavor profile of this Cohiba.